Rt. Hon. O. S. Arthur: To move the passing of a Resolution to approve the Civil Establishment (General) Order, 2005. On the 19th July, 2005, the Rt. Hon. O. S. Arthur spoke and moved seconded by Hon. R. C. Eastmond, that the Resolution be passed. Further consideration of the Resolution was postponed. Notice of this Resolution was given on 21st June, 2005. Notice of' this Resolution was given on 21st June, 2005. Rt. Hon. O. S. Arthur: To move the passing of a Resolution to approve the Ministers and Parliamentary Secretaries (Remuneration and Allowances) Order, 2005. Rt. Hon. O. S. Arthur: To move the passing of a Resolution to approve the Senate and House Assembly (Remuneration and Allowances of Members) Order, 2005. Rt. Hon. O. S. Arthur: To move the passing of a Resolution to approve the rate of salary and allowances applicable to the post of Personal Assistant to the Prime Minister. Rt. Hon. O. S. Arthur: To move the passing of a Resolution to amend the Schedule to the Governor-General (Conditions of Service) Act, Cap. 6. Hon. 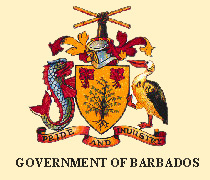 Miss M. A. Mottley: To move the passing of a Resolution to take note of and approve the Draft “National Strategic Plan of Barbados 2005-2025: Global Excellence, Barbadian Traditions”. Hon. Mrs. H. E. Thompson-McDowald: To move the passing of a Resolution to approve in accordance with section 5 of the Land Acquisition Act, Cap. 228 the compulsory acquisition by the Crown of a parcel of land situate at Mount No.1, Mount Stepney in the parish of Saint Peter in this Island for the public purpose of constructing a Repeater Station for the Royal Barbados Police Force. Notice of this Resolution was given on 19th July, 2005.